Christine Murphy joined The Jaklitsch Law Group with more than a decade of trial experience. A native of Queens, NY, Christine has spent nearly 20 years in the Maryland/Washington, DC area. She has tried more than 150 jury trials and nearly 50 bench trials in Prince George’s County, including handling approximately 50 murder trials. She is known to be smart and tough and is ready to fight for the rights of people injured by the negligence of others. 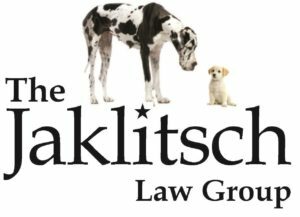 Unlike some attorneys who want to settle your case without going to court (and the insurance companies know who those attorneys are), Christine and the team at The Jaklitsch Law Group are ready, willing and able to take on any insurance company in the courtroom (and the insurance companies know that too). Having the reputation for doing what needs to be done to get the best possible result for our clients makes us a formidable adversary when it comes to going toe to toe with insurance companies. Christine is a graduate of American University and the Washington College of Law. She is a fan of a team in the American League that shall not be named, but is also a Redskins fan. She handles a variety of personal injury cases including auto and truck crashes throughout Maryland.